The conversion process for The Scholl Bus began full force in November of 2011, and was completed in February of 2012. I quit my job at the automotive shop to live in and work full time on the bus conversion a little over one year ago. The first thing I did was to add the pop-up to the roof so I would have a place to live while completing the conversion. While parked in a friends driveway, the bus slowly took shape and became the place we call home. Here you will find more information on the bus conversion process, with some pictures and videos along the way. It is hard to believe it has already been a year since this adventure began to take shape. Why did we decide that life on the road would be the life we would love? Lets rewind and see how this crazy life began, and why we love the life we live now. We had a large house and yard just a few years ago, and looking back on it now we were miserable. We drove newer cars and felt like we had a stable outlook on life. I had a job that payed what most would consider to be a good salary, but I had grown to hate it. Sitting behind a computer is not where I wanted to be (which is a little ironic since I am doing that now) but I didn’t realize it at the time. 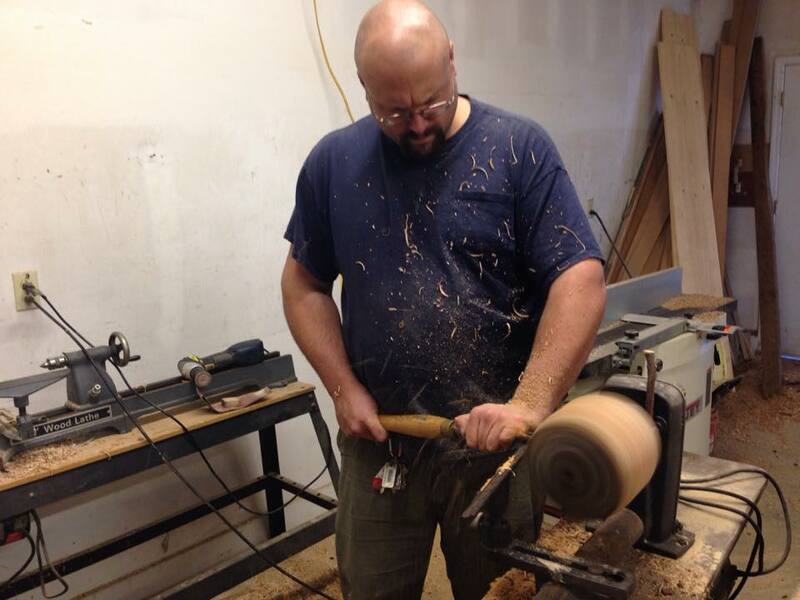 I decided to start a real estate business with a friend, so when the market took a dump we had to learn what it was like to loose the whole lot. Those were hard times for Chas and I to make it through, but we grew from the challenges instead of letting them tear us down. That experience led her to search for a different way of doing things. She wanted me to be able to spend more time with her and the girls as a family, not a stressed out nut with way too many irons in the fire. Chas had to convince me that traveling full time was possible for us, and that was not an easy task. We left our farm in KY and moved back to the NC mountains where I grew up. The winter snow kept her and the girls home most of the time (over 120″ that winter) so she had plenty of time to come up with a way to get me on board. One goal we had was to purchase a Mercedes Diesel Wagon, they run forever and are not too difficult to repair. We found one on Ebay that happened to be in San Diego, California… and we won the auction. Now we had to get the car back to NC, so we decided to drop the girls off with their Grammy and fly to San Diego. We picked up “Blondie” one sunny California morning and headed out on our first long adventure. We drove from San Diego up to Las Vegas where we ate lunch at a casino buffet and visited the Pawn Stars pawn shop. Then we headed across Hoover Dam and stopped at the Grand Canyon the following morning. We didn’t have time to hang around the Canyon since we only had 4 days until we had to pick up the girls, so we hit the road again. 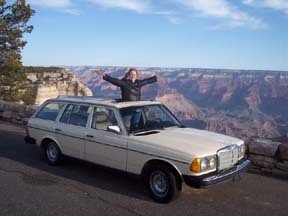 Our 300TDT Wagon in front of the Grand Canyon with my lovely wife popping through the sun roof. Once Chas knew we were going to be coming across the country, she decided to see if we could meet up with a traveling family she had been following through their blog for several months. We happened to be coming through Albuquerque which is where they were going to be for a few more months, so she arranged a visit with them. Justin, Tara, and their son Zeb are an awesome family that helped answer a lot of my questions about life on the road. They helped me realize that we could do this, and have fun in the process. Our meeting with them turned out to be the push I needed to get me on board with the full-time traveling idea. After our short visit of just a couple hours, we hit the road again. Our conversations were geared more toward how we could make this happen for the remaining hours of our trip back East. It didn’t take long once we decided to convert a bus for Chas to find ours on Craigslist. I thought it was too good to be true when I read the ad, a bus that had less than 45,000 original miles on it that had been used on the Fort Bragg military base (so I knew it had been maintained mechanically). We arrived to pick up the bus, it had 6 good tires (which are still on it today in Kansas) and started right up. We gave the man the $1,300 he was asking and headed back to the mountains. Once we had the bus, it took me several years to get the parts I wanted to use to make it a functional RV. Growing up, dad had a 1970’s Prowler tag along camper which we took to engine shows all over the eastern part of the country. I knew the parts of the camper I liked, and what we needed to make the bus function the way I had planned. We purchased most of our used RV items (LP water heater, furnace, fresh water tank, electrical converter, cabinet doors and drawers) from a nice gentleman in the Asheville area that recycled RV’s. Other parts we got at the Re-Store, on sale at Lowes, and on Craigslist. I had these items sitting around for a while before the conversion actually began. First, we used the empty bus as a mobile yard sale to get rid of some of the stuff we accumulated while at the farm back in Kentucky. We also used it as a “Tent on Wheels” to camp in a few times, the picture below is our first camping trip to Roan Mountain State Park in East Tennessee. When we left the driveway in Newland, NC to begin our life on the road, we didn’t know what to expect. Our first 2 months were spent in South Carolina in the warmer spring weather. We stayed close to our mountain home until August, when our real adventure into the unknown began. Life on the road comes with many obstacles and turns that you don’t always have a plan for, but life in general has these too. We have learned to be super flexible and adjust on a daily basis if needed. Our trials over the last few years have been instrumental in allowing us to roll with the punches and expand our view of life in general. Being infinitely flexible makes our lives much more relaxing, we look forward to new adventures every day…. Do You? We have been asked several times to post more pictures and videos of the inside of the bus, look for that post to be released later this week. 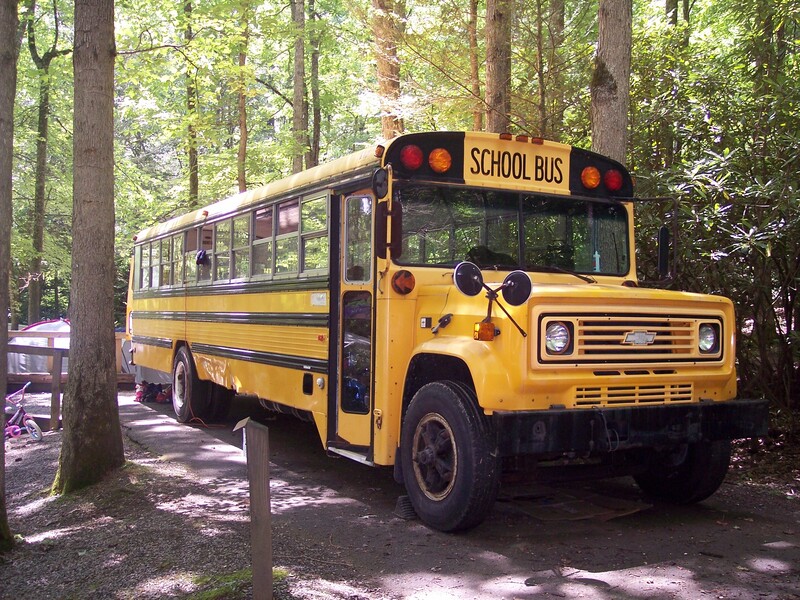 This entry was posted in Family Fun, General Information, Scholl Bus Conversion on November 26, 2012 by Jody.